Posted on 1, April 2016 by EuropaWire PR Editors | This entry was posted in France, Germany, Transportation & Logistics and tagged Abellio, Alstom, Didier Pfleger, Dirk Ballerstein, trains Coradia Lint 41. Bookmark the permalink. Saint-Ouen, France, 01-Apr-2016 — /EuropaWire/ — Alstom will supply 52 regional trains Coradia Lint 41 to Abellio for a total amount of around €170 million. This is the largest order ever placed for Coradia Lint 41 by a single customer. Coradia Lint regional trains are designed, manufactured and commissioned at Alstom’s biggest site worldwide in Salzgitter (Germany). The trains will enter into commercial service in December 2018 on the non-electrified lines of Saxony-Anhalt, connecting the capital of the state, Magdeburg, to cities of Wolfsburg and Stendal in the North, Erfurt and Halle in the South and Goslar in the West. “The Public Transport Authority of Saxony-Anhalt, NASA, set a high level of quality requirements for these new built trains. 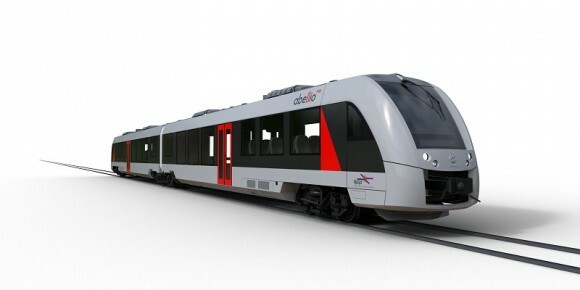 Alstom is very pleased to provide passengers with a modern, state-of-the art regional train, designed in Germany. Abellio is a long-term partner of Alstom and already operates Coradia Lint trains. We are proud to be able to pursue this cooperation”, said Didier Pfleger, Vice President for Germany & Austria at Alstom. “With these new trains we are operating 13 lines in total. We will offer the same quality which our customers in the Saale-Thuringia-Südharz network may already experience. In addition to the modern technical equipment, each of our trains will also be staffed with a customer service agent.” adds Dirk Ballerstein, managing director of Abellio Rail Central Germany. Coradia Lint 41 is a low-consumption diesel multiple unit (DMU) that can reach a maximum operating speed of 140 km/h with high acceleration rate. The 2-unit trains ordered by Abellio have a total capacity of 230 passengers. They feature convenient, spacious seat layout with tables for lap-tops at most of every fixed seat. The first class area is fitted with carpet and individual reading lights. An innovative lighting concept has been implemented throughout the train, with direct illumination of steps, glass walls and luggage racks to make the journey friendlier. The trains are also equipped with Wi-Fi, entertainment and passenger information system with monitors for static and dynamic information, as well as video surveillance guaranteeing a high level of passenger safety. Ticket machines will also be available on-board. The vehicles ordered by Abellio offer accessibility, including to people with restricted mobility, thanks to accessible entrances from standard platform heights, space for wheelchairs and barrier-free toilet. The trains are also equipped with sufficient storage for up to 9 bicycles with electric socket to charge e-bikes. Alstom employs 2,500 people in Salzgitter. The site is in charge of the design and production of electric and diesel regional trains. ← Alstom wins contract to supply four Prima H3 hybrid locomotives to DAL Deutsche Anlagen-Leasing GmbH & Co. KG.